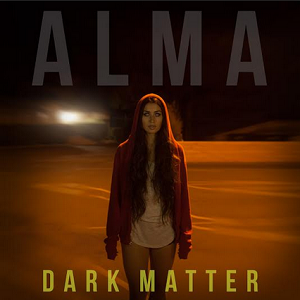 When Alma was a girl she was crushing on the likes of Leonardo DiCaprio and likely singing to posters of him. Who wasn’t in the late ‘90s? Anyways, today she’s a grown woman and putting her vocals to work in a different way. With a sound that could land her on tours with lovely ladies like La Roux, Alma has found this balance of pop and electronic that verges on sensual. Now she’s watching the competition with a steady eye thanks to her latest single and that’s just the start of her year. Now let’s find out what else this California girl has in store. 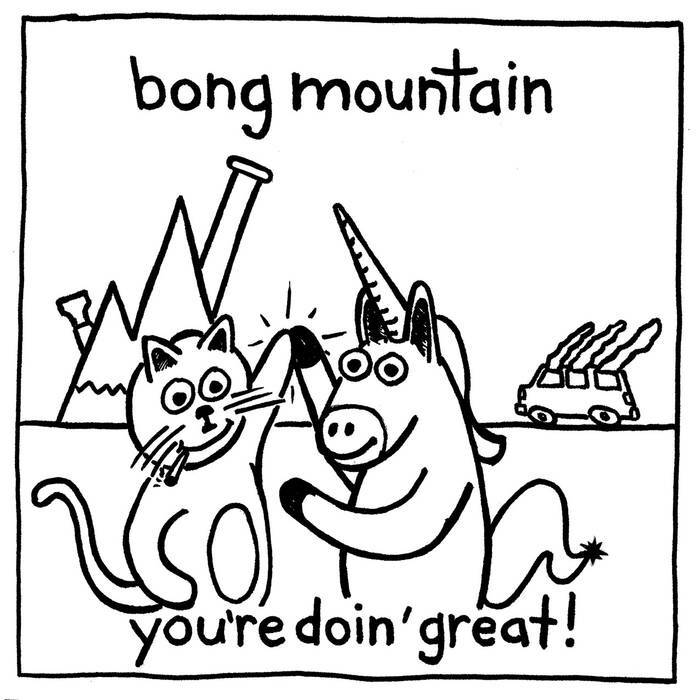 Bong Mountain: you’re doin’ great! It’s Saturday and I’m sitting by the backstage area of Starbucks because it’s the only table with a plug for some reason. Me and my boyfriend are having a creative day because he needs to finish and I need a head start. So while he writes a script he hopes to sell, I’m freezing and listening to Bong Mountain’s you’re doin’ great! Note – the exclamation is all them, not be BUT I will say I enjoyed this record a lot more than I had intended on. It was like Say Anything and Pentimento butted heads and the result was this band with some anger problems that lacked ravel in the vocal department. Starting off I was hesitant and a little offended with “Pariah Carey” since I love me some Mariah, but hey – A+ for the pun and the music wasn’t half bad either. Then “26 Caroline” came into play and it was this abrasive punk meets indie sound that really kicked the album into high gear. From there I found the best sat in the middle with the song that played out more like a story instantly filled with awkwardness due to its junior high setting, “Why You So Short?” Rounding things out were the ‘90s teen-rebel sounding “Monday Song” as well as the so-so “Symbiosis Midwest.” I felt like Shania Twain with that last one because it didn’t impress me much. A cold has officially been caught from the frozen tundra that is this Van Nuys’ Starbucks, but through the sniffles I can assure you that if you’re the kind of person who likes bands that are a little bit Dowsing and a little Pentimento, check out this one. Bong Mountain’s you’re doin’ great! is out now – so check and get into it now. Music is something a lot of people take very seriously – sometimes too seriously. When in reality all music is the same thing set to a different beat. It’s really all about how you like your tales of love, loss and life to sound. Some want to forever dance, others want to thrash with metal and then there are those who keep it classic with the opera. Well it’s time to broaden your horizons and take on something new and that’s what Rimi Basu is hoping to do with her Bollywood style. She wants to take it and give the Western culture a taste of what it’s all about with her latest, The Unveiling. Being an American – my depth of knowledge about Indian culture started with having one friend growing up, watching Bend it Like Beckham and then hearing about Slumdog Millionaire. So this was honestly the first time I’d spent a healthy amount of time actually listening to Bollywood type music and since it wasn’t in English – it made it that much harder to grasp but in the end I was able to find my way around it. The Unveiling starts out with “Surmayee.” Not knowing what to expect, I really thought a country track was going to start. That’s the thing though, Rimi isn’t coming into the Western world cold – she’s taken elements of American music and tossed it in so that people like me can hear something relatable and be like, “I’ll give this a chance.” Overall the song sounded like it was celebratory. Then there was “Mat Ja.” It had a great wind instrumental intro that was inviting and made you think of a lavish dance floor. The same can be said of “Maahiya.” This one had so much energy I wondered what the nightlife in their culture was all about, because it sounds like a wild night out. Back to the east-meets-west though – “Keh Du?” definitely adopted some hip hop vibes while the record closed out on a bit of an electronic note with “Habibi” and its remix. So in the end music is music and that’s why it’s considered a universal language. It’s the feeling the music actually evokes that some are more in tune with and that’s why I think Rimi Basu has something with The Unveiling. Her songs will definitely get more of the club going crowd that love to dance, but that’s cool – those people need more on their playlists so they’re not left with only Pitbull tracks – seriously, he’s in every other song. So if you’re a musical risk taker, or just would like to dive into some Bollywood sounds, check out The Unveiling, out now.